Please scroll down for additional information and options! 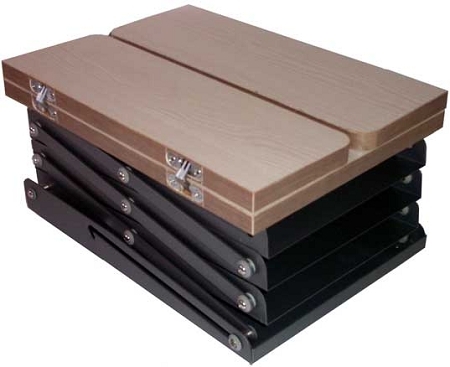 Solve two needs with our brochure holder and podium. Includes a deluxe metal case. 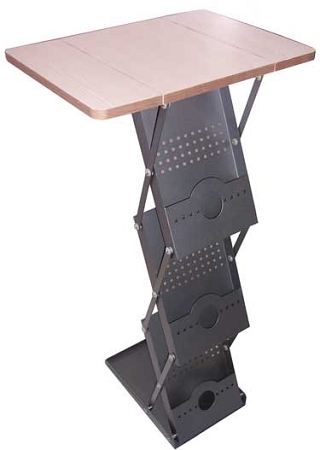 This stand is really striking and you have to see it in person! A locking metal frame and heavy duty base support three brochure shelves and an oak veneer top. Your brochures can be stored in the unit even while closed. Need handouts to fill this stand? We offer discounted pricing on the finest full color printing in virtually any quantity!